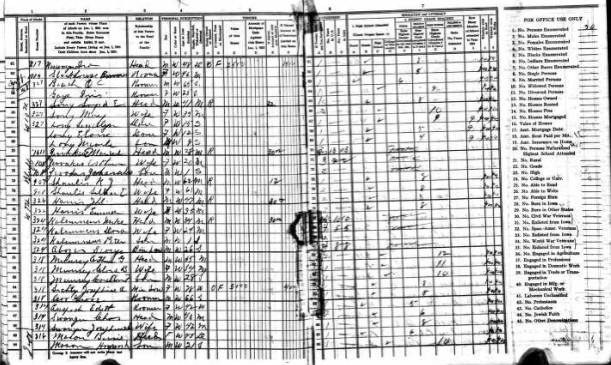 Ancestry.com has a database titled IOWA, STATE CENSUS COLLECTION, 1836-1925 which has 6,937 people listed as being born in GREECE. Remember, if you don't have a subscription to Ancestry.com most public libraries offer access to this program for FREE. It also includes some head of household only censuses and other special censuses from 1836-1897. Additional information about an individual, such as their occupation, nativity of parents, citizenship status, or war service, may be available on the actual census record. Be sure to view the corresponding image in order to obtain all possible information about an individual. Note: Some census schedules may be more than one page/image long. For example, the 1925 census schedule is usually comprised of 3 pages. Use the "Next" button on the image viewer to see any continuing pages. Although Iowa did indeed enumerate its population frequently both in special and regular censuses, not all counties complied each time. Some enumerations are only for specific cities. Also, many of the censuses that were actually completed no longer exist. Take into consideration that not all years include all counties, or all townships of a county, and that in fact some are very limited.